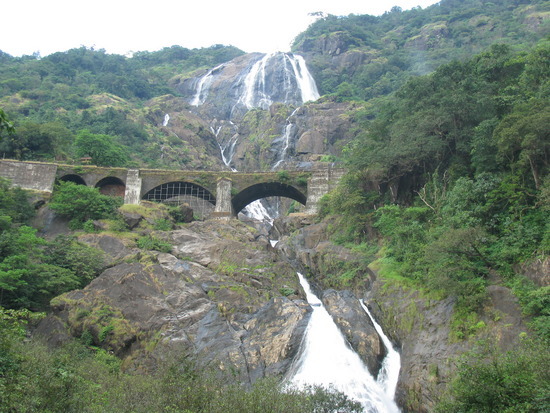 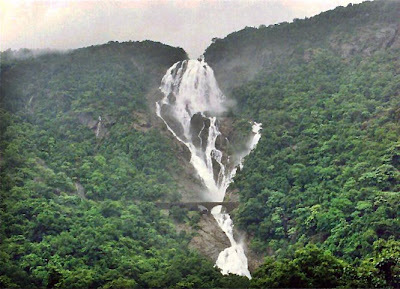 Dudhsagar waterfalls are located in the district of Sanguem in Goa. It lies at the distance of 60 km from Margao near the Goa Karnataka border. 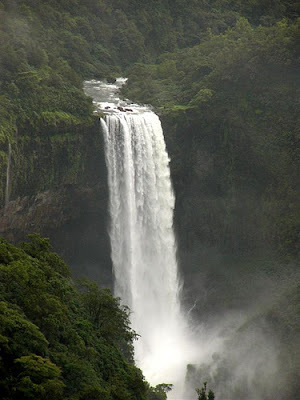 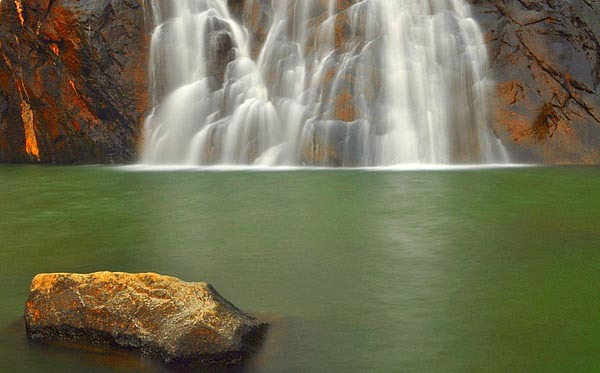 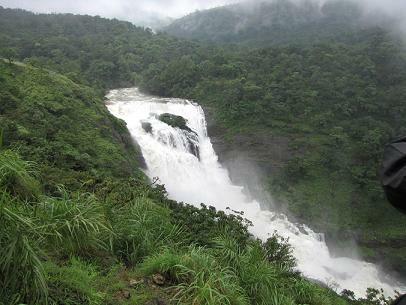 The falls take a steep plunge 2000 feet down in the wooden mountains of the western ghats. 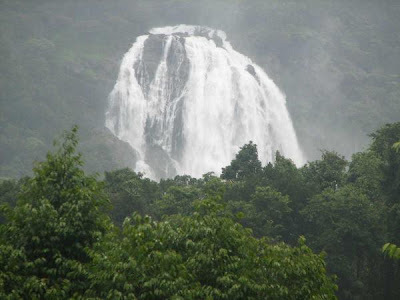 It originates high up on the river Mandovi’s watershed. The Dudhsagar Waterfalls is luxuriously enveloped in greenery and a breathtaking avalanche of milky white water. 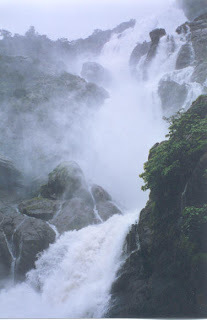 The word "Dudhsagar" literally means "Ocean of milk". 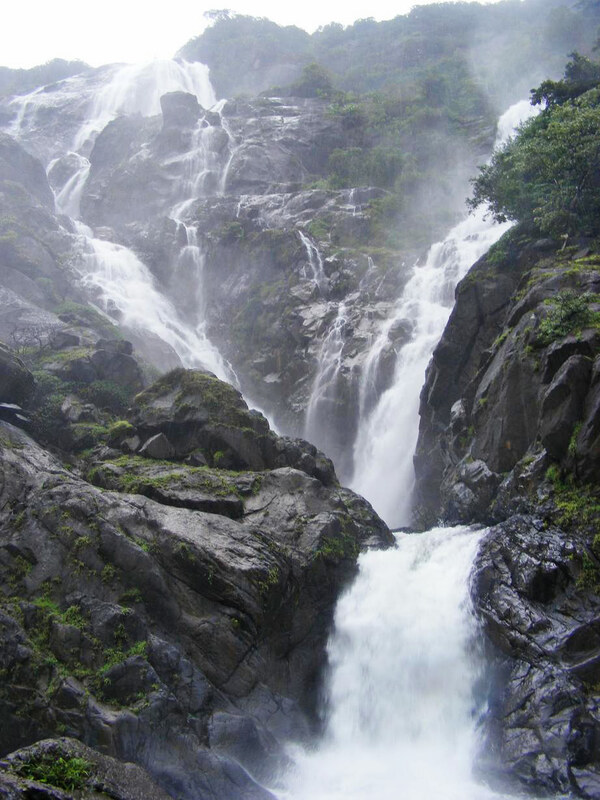 The waterfalls are so named because of the white foamy water that comes down from a staggering height of 2000 feet above the sea level. 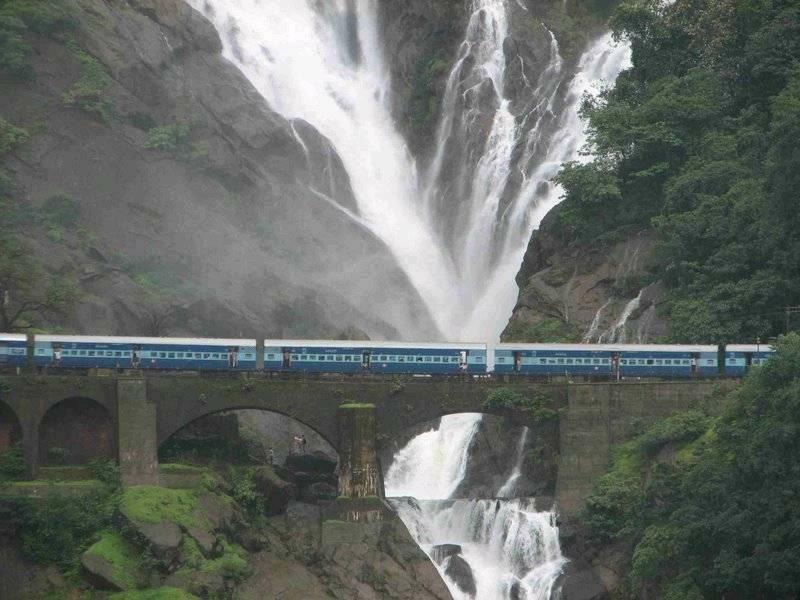 Dudhsagar Waterfalls are listed as one of the highest waterfalls in the world. 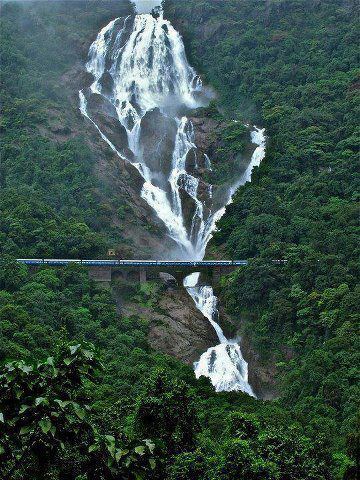 They are the fifth highest waterfalls in India. The waterfall appears as if the streams of milk are flowing down from the mountains. 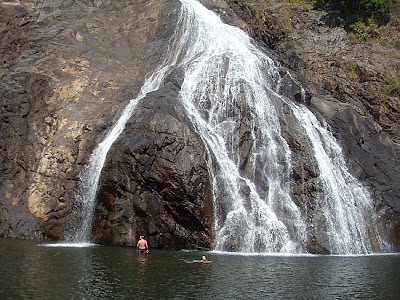 The waterfall is located amongst lush green surroundings of the forests of Western Ghats which is what makes it even more scenic and beautiful. During monsoons the Dudhsagar waterfall becomes very lively and attracts tourists in hordes.